Product contains milk, peanut, and soy. Produced in a facility that also processes egg, wheat, and tree nuts (pecans, almonds, coconut, cashews, walnut). 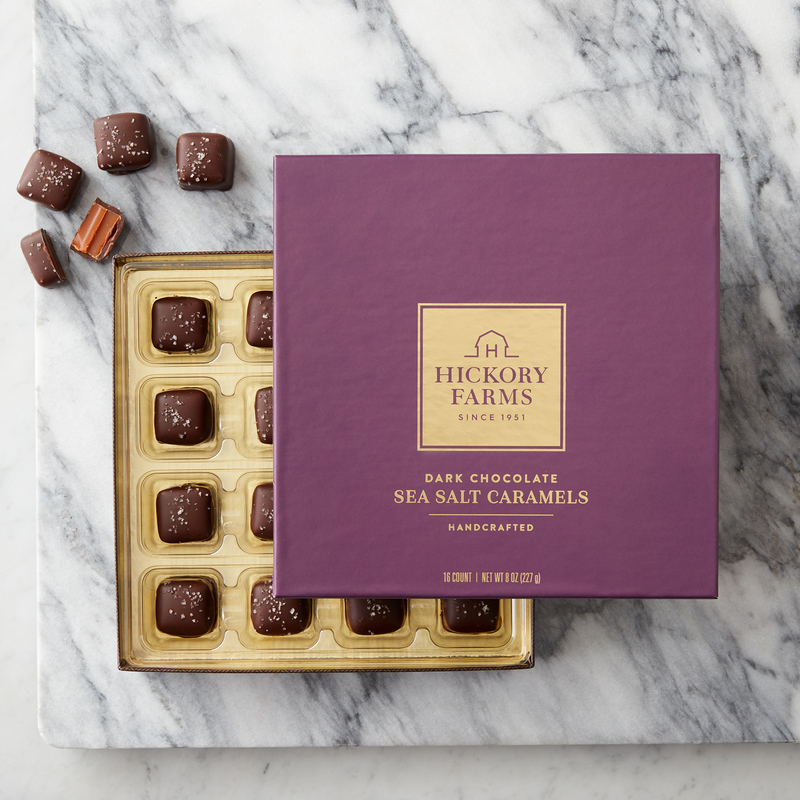 These Dark Chocolate Sea Salt Caramels are made with rich, chewy caramel covered in premium dark chocolate, then topped off with coarse sea salt. They're one of our top-selling chocolates, perfect for a sweet treat to finish off a meal, or make a great gift for the caramel lover on your list.